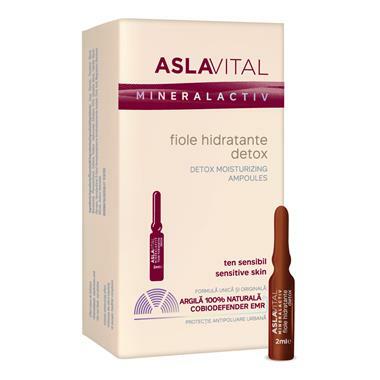 Hyaluronic Acid - Restores the ideal level of hydration for the skin and reduces the trans-epidermal water loss (TEWL). SYN-UP™ - A dipeptide derivate which visible improvement of dry skin conditions, making the skin more resilient against stress factors. Caffeine - Stimulates skin circulation and toxins drainage, helps to calm inflammation and irritation. Apply daily, in the morning, on a clean face, neck, décolletage and hands. Get the serum entirely at the bottom of the ampule. Make sure you hold the ampoule standing before breaking it, to avoid spilling the product. Break the serum ampoule using a tissue paper or textile towel. Read the instructions from the leaflet inside the packaging if use the protection cap to break the ampule. Pour the content into the palm of your hand and apply it on your freshly cleaned skin by gently massaging it. INGREDIENTS: AQUA, GLYCERIN, PENTYLENE GLYCOL, NIACINAMIDE, PHENOXYETHANOL, CAFFEINE, SODIUM HYALURONATE, DISODIUM EDTA, DECYLENE GLYCOL, CAPRYLYL GLYCOL, GLYCOGEN, BENZYLSULPHONYL D-SERYL HOMOPHENYLALANINE AMIDINOBENZAMIDE ACETATE, CITRIC ACID, MAGNESIUM ALUMINUM SILICATE, SODIUM HYDROXIDE.